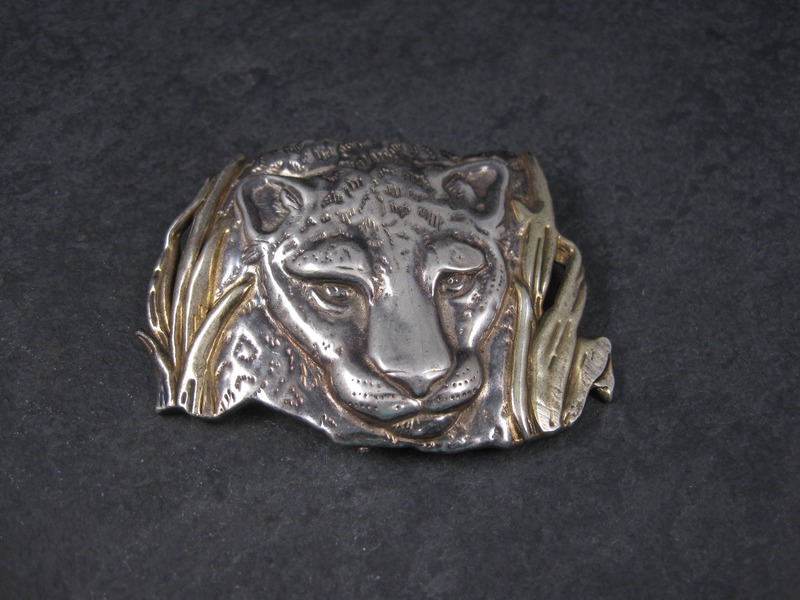 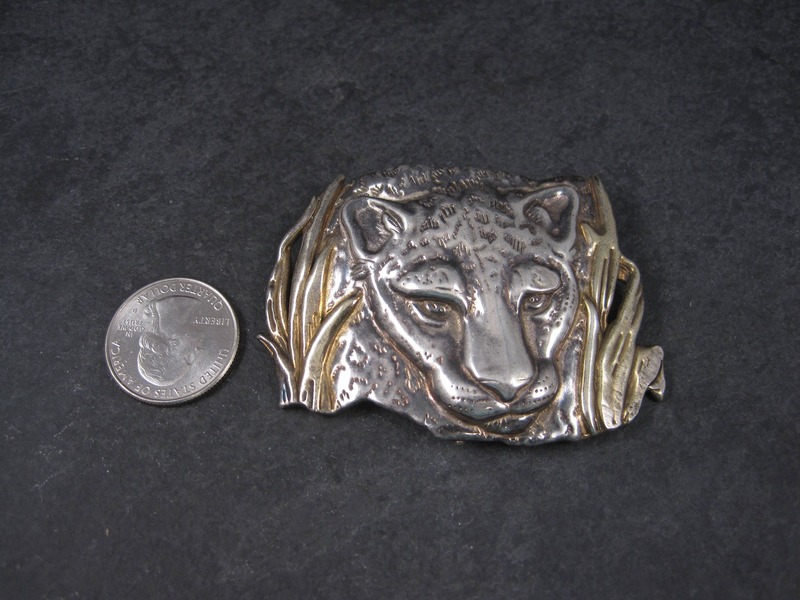 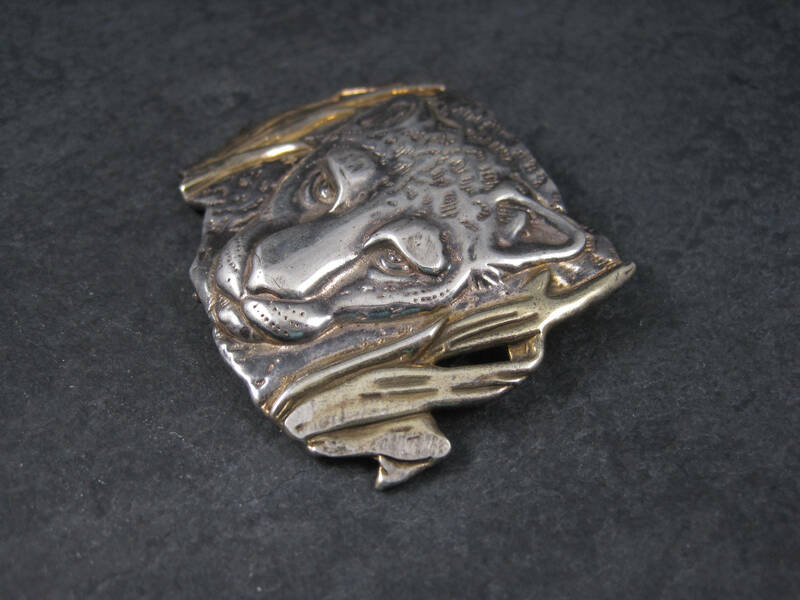 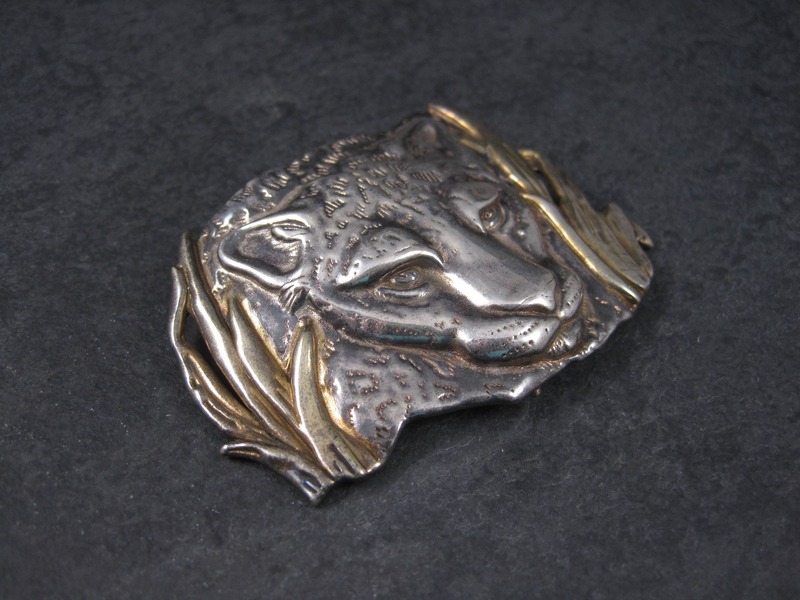 This gorgeous designer panther / leopard pendant brooch in sterling silver with gold plated accents. 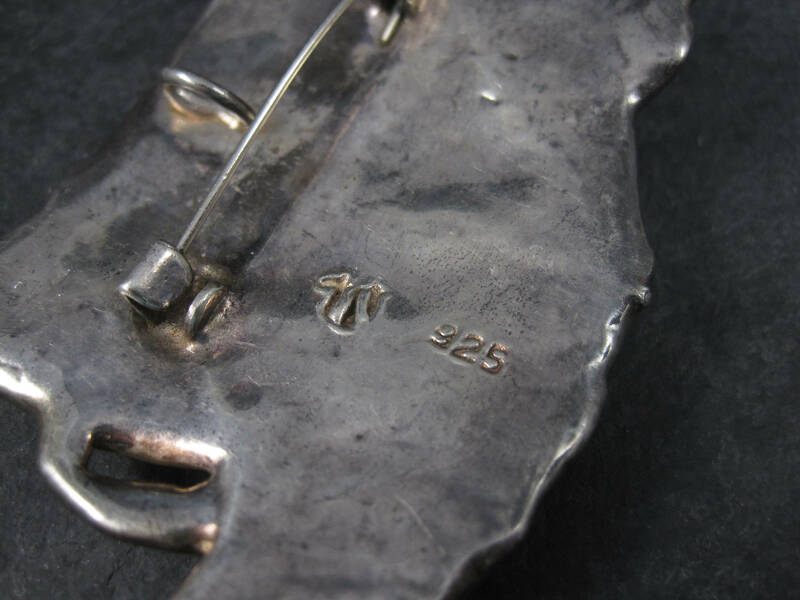 It is marked on the reverse 925 for sterling silver and does have the makers mark. 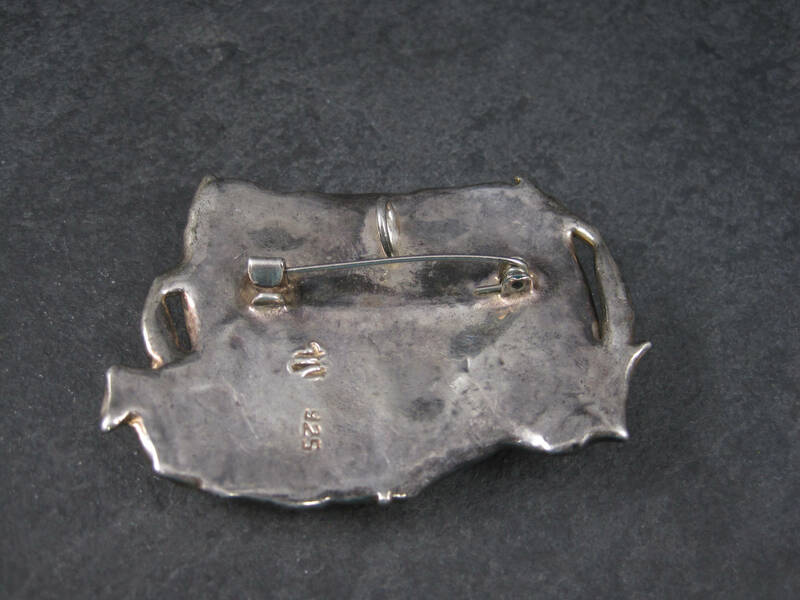 The brooch has a suspension loop at the top to wear as a pendant or a c clasp so it can be worn as a brooch. 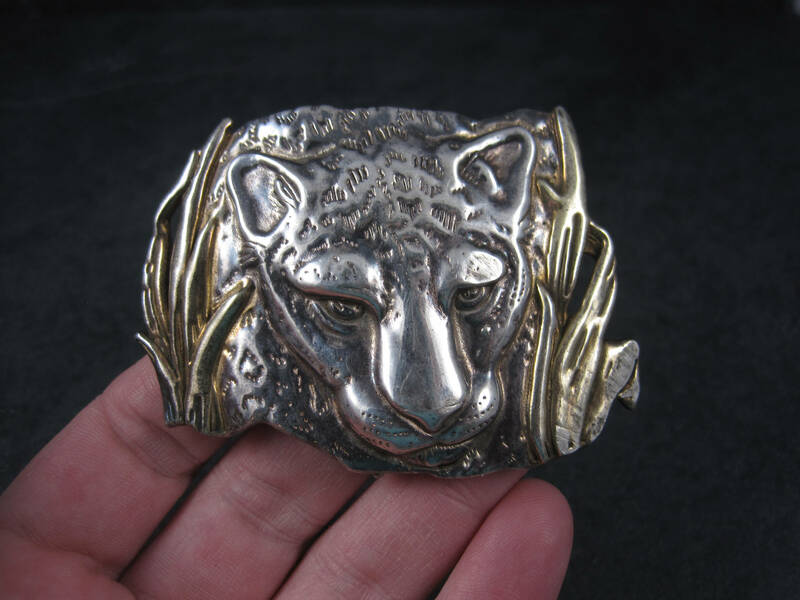 He is in good condition with some light surface oxidation, wear to the gold plating and appropriate patina for a vintage jewel. 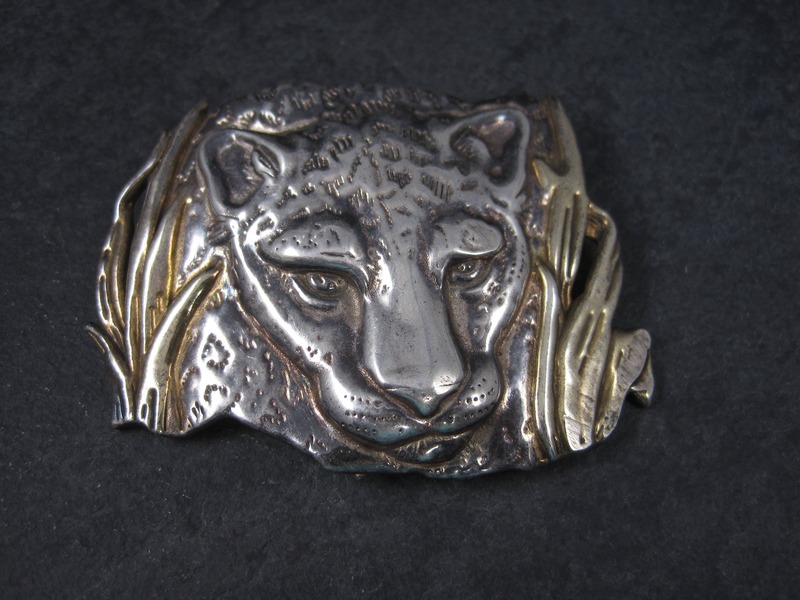 Both Park Lane and JJ had brooch versions of this exact leopard design but this brooch pendant belongs to neither of those companies. 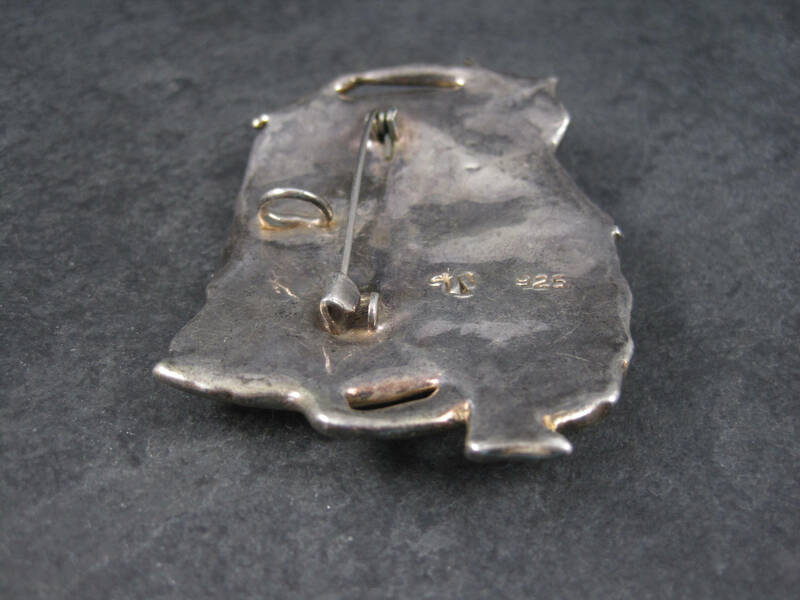 Im unsure who the designer is as I have not been able to identify the mark.